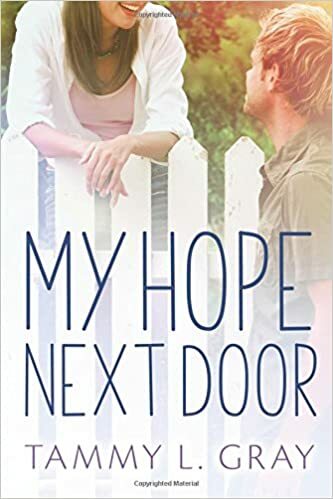 Tammy L. Gray is hands down one of my absolute favorite contemporary romance novelists because she manages to deal with the times and write solid storylines. I loved the premise of Katie coming back home, learning how to walk out her faith, and still being forced to confront the past. She is placed in some tight positions, but she managed to make me like her more each time.There were secrets in this book (which I usually really can’t stand), except they were handled so well. I also loved that Asher Powell, who is essentially the guy who has been saved since he was little, was going through a crisis of his own. It worked in the sense that he wasn’t too perfect for Katie. He was flawed, but those flaws only served to make him a stronger hero. I liked that he’s a nerdy, has a great relationship with his parents…and kind. Kate and Asher still have their problems, but they work through them. Together. Spiritually, the book deals with several topics, but forgiveness is the main issue. It’s interwoven so nicely, it doesn’t feel like it’s done with a heavy-hand. There was also this sub-theme of no one can fix you but Jesus. So often secular romance novels act like one person can make another person whole and “fix’ them. Two broken people do not make a whole person. Overall, I loved this book. The main characters faced problems, but nothing was drawn out. At no times did I feel like the author was creating drama for the sake of drama. Next Post Monday Musings…What are You Watching?